If a company has successfully served a local community for 65 years in one location, you have to acknowledge that it has found the key to success. 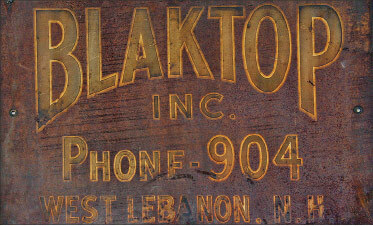 Lebanon’s Blaktop paving company is such an example. Founded by Lebanon resident William Taylor back in 1950, the company later merged with the nearby Twin State Sand and Gravel. Located at 73 Elm Street in West Lebanon, the two companies cover some 85-plus acres overlooking a breathtaking view of the Upper Valley. 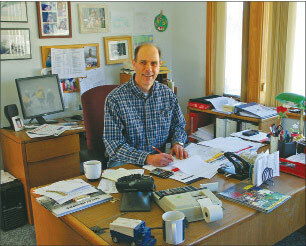 Blacktop president Stuart Close, who graduated with a degree in business administration from the University of Vermont and resides in Norwich, Vt., is extremely proud of the fact that his company has lived up to that reputation entering its 65th year. The company has followed a simple but effective philosophy for more than six decades. The paving industry has proven to be an extremely competitive one that often sets up a David and Goliath scenario. The Blaktop company often finds itself playing the role of David. Close and the Blaktop company serve the Upper Valley sometimes in a very subtle manner that is critical to local tax payers. Residents of every town in the Upper Valley grow weary of roads in poor condition, especially in the spring when the dreaded potholes appear. 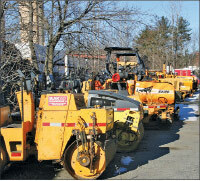 While Close and his company place a huge emphasis on the smaller jobs for paving in the Upper Valley, when asked what was one of the largest projects Blaktop has tackled over the years, his face lit up with a quick smile. 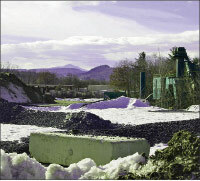 “Oh, that had to be the contract with a big wood chip generating station in Berlin, N.H. We have another Blaktop location in Littleton, N.H., and they were a factor in this contract. The contract paid close to a half a million dollars and involved about 10,000 tons of asphalt! The site has a lot of access roads leading into it and was quite a challenge,” he said. While noting with pride that completion of that project was an impressive accomplishment for his company, Close quickly turned his attention to what has established Blaktop for 65 years. 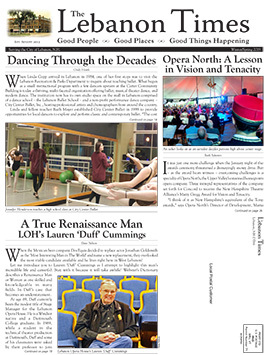 Close looks toward the future of Lebanon and really likes what he sees down the road. Pointing out the diverse types of businesses with growth potential, combined with stable medical and educational institutions close by, the future appears bright. But when pressed for the biggest challenge that lies ahead for his company, the soft spoken executive became more animated. Compounding that situation is the fact that the unemployment rate in the Upper Valley is one of the lowest in the state, and expansion of industry continues at a rapid rate. Paving the way for the next decade will be complex. 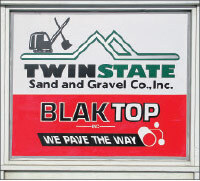 Whatever the future holds for the Upper Valley, you can count on Blaktop and Twin State Sand and Gravel to be an integral part of keeping the region’s roads, parking lots, and driveways up to the challenge.